Lips pursed in concentration, eyes focused behind safety goggles on the beaker before her, not a hair out of place atop her white-coated shoulders. 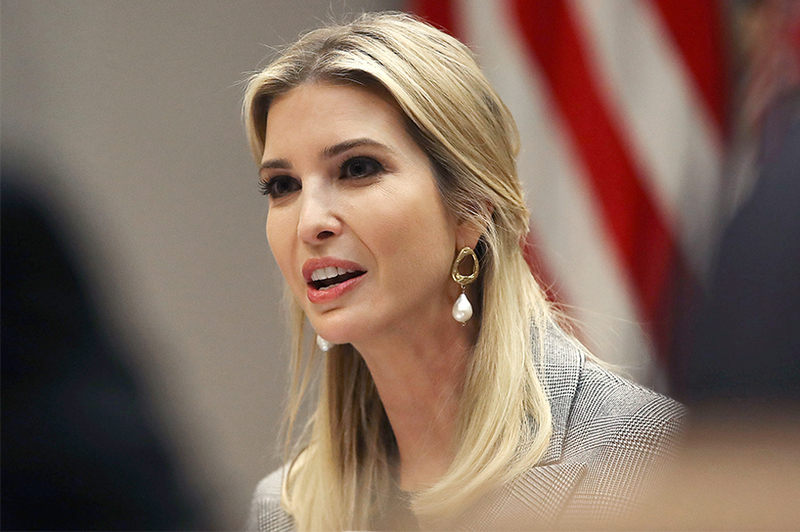 With this #Scienceselfie published on her social media channels, Ivanka Trump was trying to spread the word about government investments in infrastructure projects supporting women in the fields of science, technology, engineering and math. As one of President Donald Trump’s senior advisers, she has White House security clearance, the trust of her father and the momentous task of managing “the woman file” at a time when women are flooding the streets annually to protest a lot of the policies her dad has enacted, and all he represents.